Since its inception in 2007, Sunburn has affected the Indian party scene greatly. It has had an attendance of more than 160,000 people in the past and this year, Karan Singh-CEO of Sunburn Global promised that it would be even bigger and better. Well looks like Karan Singh followed through on his promise for Sunburn Goa, is going to be the biggest and best yet. In its 8th year of providing unique Dance Music experiences, Sunburn Goa 2014 is all set for the biggest line-up consisting of over 150 artists. 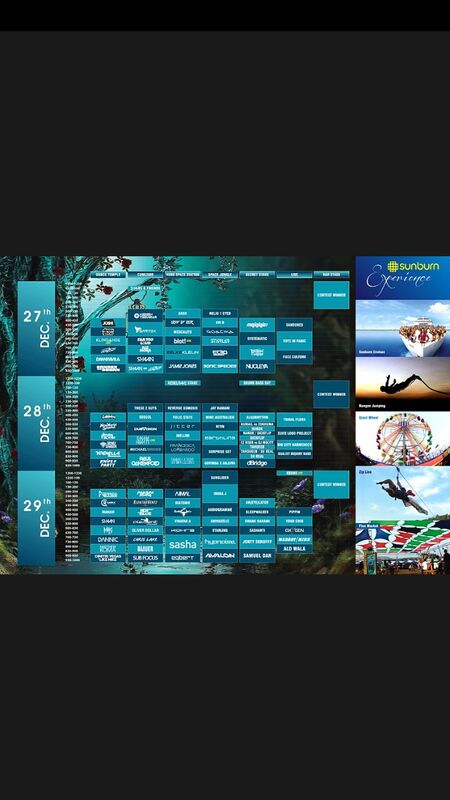 Sunburn Goa has announced eight different stages with each stage catering to different genres of electronic dance music. Genres like Dubstep, Psy Trance, House, Tech House, Electro etc. Being in the top 10 Music Festivals in the world, Sunburn has roped in Electronic Dance Music giants to play here. Dimitri Vegas and Like Mike, Krewella, Knife Party, Sander Von Doorn, Baauer, Danny Avila, Head Hunterz, Paris Blohm, Sasha, Dubvision and MAKJ are some of the artists in the Phase 1 international line-up. Sunburn will also feature numerous Indian DJs like Anish Sood, Arsh, Diatonik, Shaan, Vinayaka, Joshi, Nitin, Nucleya, Zaeden, Shivadelic, EZ Rizer etc. Dimtri Vegas and Like Mike who recently ranked #2 in DJ Mag’s Top 100 DJs in the world, along with Krewella are one of the most anticipated acts this year. This year, the festival will also have Asia’s largest ever stage construction with its main stage having a 200-foot structure. With high-octane fusion of space and sound, world class LED lighting, video projection, Sunburn revelers will light up the sky in what will be a 360-degree sonic experience. When : 27, 28, 29th December. So what are you waiting for? Book your tickets as soon as possible for Sunburn Goa is not jut a festival, but a destination where music and dance lovers head off to and return with memories about this heavenly festival forever ingrained in their minds. Next article Oktoberfest Goa 2014 to kick off this festive season!